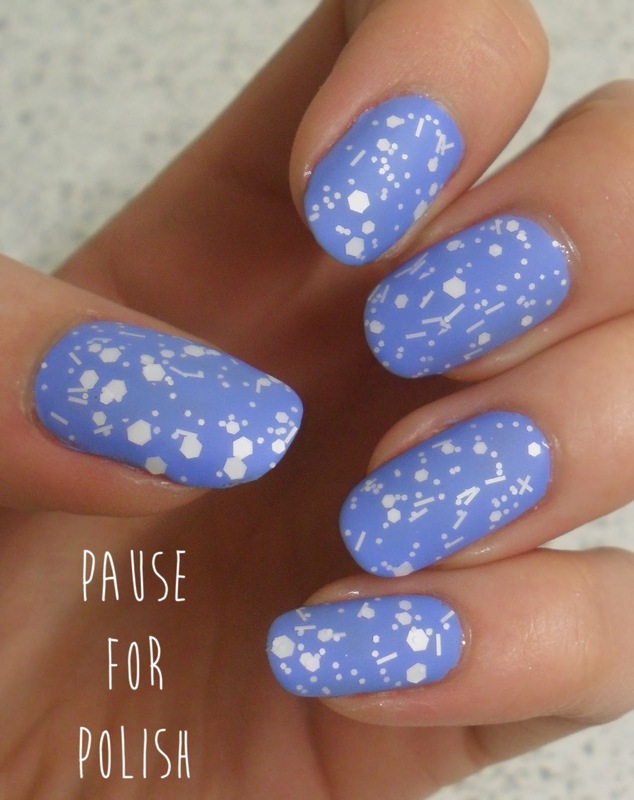 Pause For Polish: Nails Inc - Snowflake.. £3 BARGAIN ALTERNATIVE! Sorry for shouting in the title, i'm just pretty excited about this post! Now earlier in the week, Tuesday i believe, i was having a look through the latest posts on Bloglovin when i noticed a Nails Inc - Snowflake review by Eeeek! Nail Polish! and couldn't help but leave a comment. Now, i love nail polish. Heck, we all love nail polish right? And although i'm a bargain hunter, i can see why brands such as OPI and China Glaze charge higher prices because their colours and formulas are just shamazing. But i just dont understand the hype for Nails Inc. I've only got two bottles by them, and that's because they were free. I don't even use them. One is gloopy, and the other is streaky. Five more and i've got seven ugly dwarf nail polishes on my hands.. or nails. 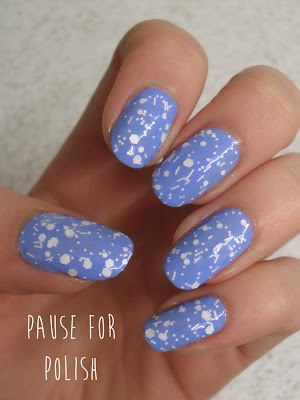 Now this post did catch my eye, and for the first time i craved a Nails Inc polish. But, as i put in my comment 1) I'm not a fan of Nails Inc, at all & 2) This is a polish i couldn't justify buying for myself, but would happily receive. Now, imagine my glee when the very next day i'm going through my delivery at work and spot a couple of boxes of nail polish with names i don't recognise. My hand reaches for the box entitled 'Fluffy'. I tear in to the box. I pull out a bottle. I see white chunky glitter. I squeal. 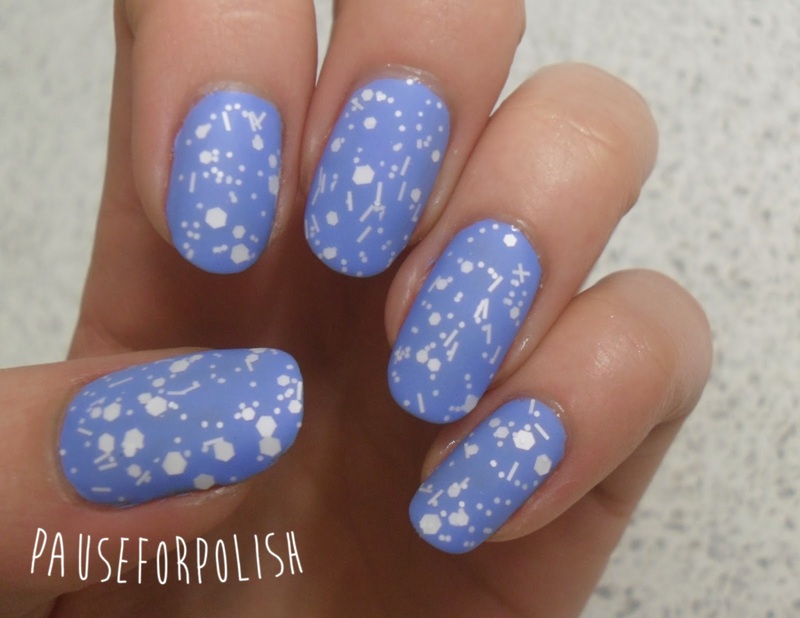 My very own £3 version of Nails Inc Snowflake! This is only one coat of Claire's Accessories - Fluffy over one coat of Rimmel London - Mind The Gap, Victoria. I imagine two coats would change this from light snowfall to full on blizzard.. which would probably look even more awesome. 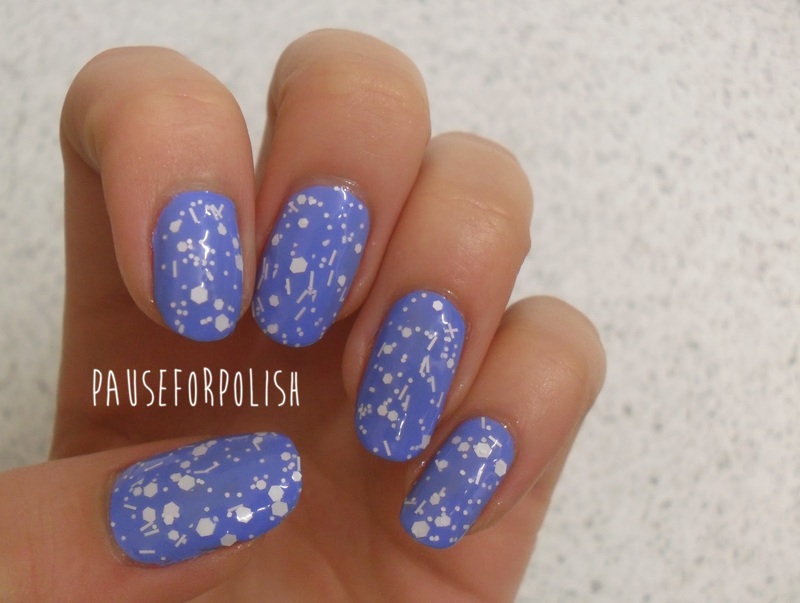 I just think this is such a great polish for a cute glittery look that isn't overboard. Plus, with over blue it's so christmassy! I'm definitely going to try this over a blue to white gradient. I popped on a matte top coat which really completed the look for me. Which do you prefer, glossy or matte? 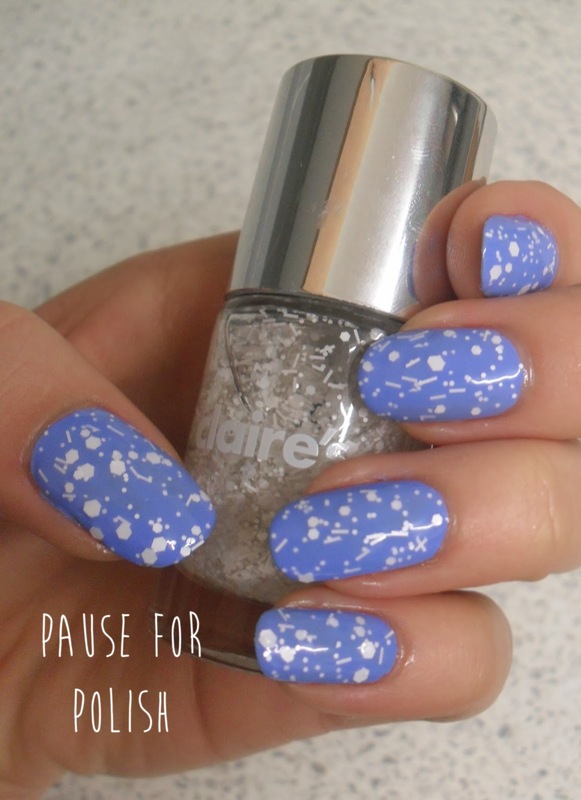 And more importantly, do you prefer the Nails Inc £12 version or the Claire's £3 version? They do differ slightly, there's a lot more bigger bar glitter in the Claire's version, but i don't mind paying £9 less for that. So have i convinced anyone to go out and buy this polish or are you happy to pay for the Nails Inc version? Let me know in the comments below! Well, I guess i'm going out to Claire's now... Thanks for the heads up! You just saved me so much money! I was so excited about the nails inc. polish when i saw it advertised, but £12 is way too expensive! Just ordered the Clare's version and I can't wait for it to turn up.